To save the principle of ASEAN centrality, the regional body should transcend its consensus-based decision-making and embrace minilateral arrangements on divisive issues. The regional body is increasingly suffering from a ‘middle institutional trap’. The type of decision-making arrangements that enabled it to reach its current stage of institutional maturity are insufficient to meet its newer challenges. In particular, the rise of China and its growing assertiveness are not only disturbing the regional security architecture but also undermining ASEAN’s internal cohesion and its quest for centrality in East Asian affairs. 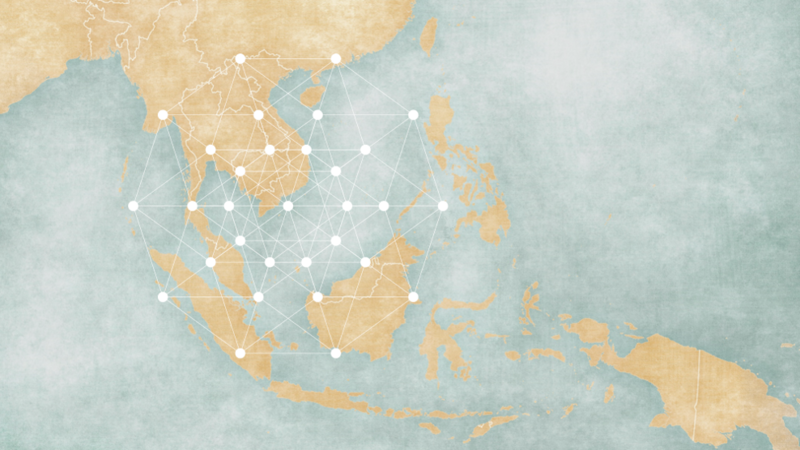 The ‘ASEAN way’, where consensus and consultation undergird decision-making regimes, is no longer up to the task. The regional body’s unanimity-based decision-making mechanism has unwittingly handed a de facto veto power to weaker links that are under the influence of external powers. Moving forward, the body has two choices. It can modify its institutional configuration by adopting an ‘ASEAN–X’ or ‘qualified majority’ voting modality on politico-security affairs, or it can fall into irrelevance. This is poignantly evidenced by the South China Sea disputes. After it failed to embrace wholesale institutional innovation, the only way forward is a constructive form of ‘ASEAN minilateralism’, where likeminded and influential countries in the region coordinate their diplomatic and strategic calculations vis-a-vis South China Sea disputes. In 2016, the leaders of ASEAN displayed encouraging unity — or at least a semblance of it — during the Sunnylands Summit with former US president Barack Obama. At the end of the meeting, the two sides released a joint statement that called for shared ‘commitment to peaceful resolution of disputes, including full respect for legal and diplomatic processes, without resorting to threat or use of force, in accordance with universally recognised principles of international law and the 1982 United Nations Convention of the Law of the Sea’. So both sides agreed that not only should the United Nations Convention on the Law of the Sea (UNCLOS) be a basis for resolution of disputes, but also mentioned ‘legal processes’, which could be interpreted as an implicit statement of support for the Philippines’ decision to resort to compulsory arbitration against China in accordance with Article 287, Annex VII of UNCLOS. Both sides also emphasised the necessity of ‘non-militarisation and self-restraint’. This was particularly salient given China’s worrying deployment of surface-to-air missile systems, high-frequency radars and fighter jets to contested land features in the Paracel Islands as well as newly built facilities across artificial islands in the Spratlys. But as the Philippines’ arbitration case reached its final stages, ASEAN suddenly began to lose steam. Things came to a head during the special foreign ministers meeting between ASEAN and China in Kunming when the Southeast Asian countries failed to release a joint statement, which forced frustrated officials in the Malaysian foreign minister’s office (which initiated the high-level meeting) to release a draft joint statement. It did not take long for some ASEAN countries to shut down any hope of ASEAN centrality on the South China Sea disputes. Cambodian Prime Minister Hun Sen openly criticised the Philippines’ compulsory arbitration against China, dismissing it as a provocative act that is ‘not about laws’ and instead a ‘political conspiracy between some countries and the court’. More disappointing, when it became clear that the Philippines scored a clean sweep victory against China (with the court nullifying China’s historic rights doctrine and much of its nine-dashed line) most ASEAN countries immediately called for patience and calm rather than compliance by claimant states to a binding decision. In a strange twist of events, the Philippine government under President Rodrigo Duterte has soft-pedalled on the issue, refusing to raise it in multilateral fora. During its 2017 chairmanship of ASEAN, the Philippines oversaw a joint statement that was ironically even less critical of China than in previous years. It is highly unlikely that ASEAN will ever find a consensus or adopt a robust statement on South China Sea disputes. The much-vaunted code of conduct (COC) framework looks like a repackaged Declaration on the Conduct of Parties in the South China Sea, since dispute settlement mechanisms or any reference to relevant UNCLOS provisions (and Philippine arbitration) are excluded. Looking at the outline of the COC framework, the ‘objectives’ of the document are ‘to establish a rules-based framework containing a set of norms to guide the conduct of parties and promote maritime cooperation in the South China Sea’. The operative term is ‘norms’, which denotes the absence of a legally binding nature. In the section on ‘principles’, this is quite clear: the document states that the final COC will not be ‘an instrument to settle territorial disputes or maritime delimitation issues’. Key ASEAN countries like the Philippines, Vietnam, Singapore, Malaysia and Indonesia can bilaterally and individually release statements that communicate their disappointment with China’s activities in the area and relay their willingness to step up their ‘minilateral’ cooperation in the South China Sea. ASEAN claimant states can also negotiate a parallel legally binding COC grounded in international law that can then serve as a framework for maritime delimitation. It can be more substantive and maximalist. It should call for an immediate freeze on reclamation activities, construction of military facilities, deployment of military assets and expansive illegal fishing in the area. If ASEAN cannot embrace this minilateral approach, it runs the risk of complete irrelevance in shaping and managing potentially the most combustible conflict in the 21st century. This article appeared in the East Asia Forum on December 5, 2017. A version of the article was originally published on S Rajaratnam School of International Studies [RSIS]’s Commentary platform.